InsulVail, a part of the Installed Building Products Family of Companies, has been serving Summit, Eagle, Garfield and Pitkin Counties since 1997. We install a variety of insulation products in new and existing homes and commercial projects; all with one goal in mind: providing a quality insulation system. Our trained staff of professionals will get the job done on time, on budget and safely. 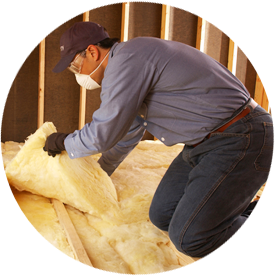 With our experience and dedicated staff to serve you, you can rest assured that you’ve come to the right place for expert installation of fiberglass batts, Blow-In-Blanket fiberglass, polyurethane spray foam and cellulose systems.